This entry was posted in 23 Things, prayer and tagged Jesus, Lord's Prayer, Prayer by Scott Jeffries. Bookmark the permalink. Prayer is so powerful, Jesus spoke a lot about it, and did it. 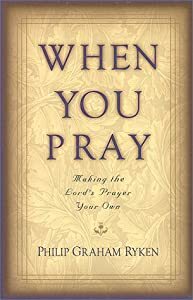 Paul prayed long and often, so many men and women of the Christian Faith wrote books on prayer and spoke of the necessity of prayer, and yet so many modern day Christians don’t have time for it. Thanks for the post.